Four days before Christmas in 1943, a badly damaged American bomber struggled to fly over wartime Germany. At its controls was a 21-year-old pilot. Half his crew lay wounded or dead. It was their first mission. Suddenly a sleek, dark shape pulled up on the bomber’s tail - a German Messerschmitt fighter. Worse, the German pilot was an ace, a man able to destroy the American bomber with the squeeze of a trigger. What happened next would defy imagination and later be called the most incredible encounter between enemies in World War II. This is the true story of the two pilots whose lives collided in the skies that day - the American - Second Lieutenant Charlie Brown, a former farm boy from West Virginia who came to captain a B-17 - and the German - Second Lieutenant Franz Stigler, a former airline pilot from Bavaria who sought to avoid fighting in World War II. Ultimately, Charlie and Franz would stare across the frozen skies at one another. What happened between them, the American Eighth Air Force would later classify as top secret. It was an act that Franz could never mention without facing a firing squad. It was the encounter that would haunt both Charlie and Franz for 40 years until, as old men, they would search for one another, a last mission that could change their lives forever. ©2012 Adam Makos (P)2013 Penguin Group (USA) Inc.
What a great story!!!! Highly recommended to anyone that wants a great true war story. jaw dropping was not an understatement. this reading had me holding my breath! what an excellent book and story! I loved every bit of this story. So many amazing true stories that came from WW2. What did you love best about A Higher Call? This book is a perfect example of a wonderful story waiting to be told. In the hands of a skilled writer, the author disappears and the story stands on its own. Beautifully written and leads the listener courageously through some of the most harrowing moments of the air war. What was one of the most memorable moments of A Higher Call? It was easy to put myself in the position of both pilots and to understand their call to duty. Particularly interesting was the mental preparation each aviator went through before undertaking missions that would reasonably be expected to end in death. Hard to imagine doing so day after day. The reunion of the aviators at the Boeing plant at the 50th anniversary of the B-17. The emotions shared by the survivors moved me greatly. 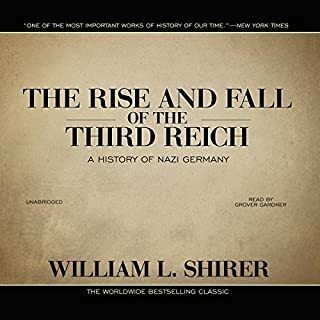 The book easily breaks into two or three listening sessions since the author approaches the story first from the German side, then from the American side, and finally to the reconnection and reconciliation of the two sides. This was an unusual read for me. I am not a big fan of war stories. This story was epic in its display of courage, valor and honor. It was both inspiration and humbling. A Higher Call is one of those inspiring stories that makes you want to be a better person. World War II brought about some of the most unthinkable actions of pure evil mankind has ever seen - and yet amongst such atrocities, decency and valor and good will still shone through in the actions of men from both sides of the war. This is one of those stories. This book brought tears to my eyes. And for a man's man who stinks at showing emotion like me - that's saying something. Phenomenal book. This audiobook is probably one of the very best I have ever listened to. 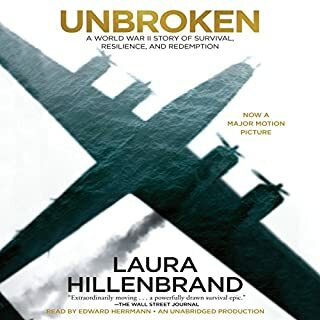 In fact, I would go so far as to say this book is on a par with Laura Hildebrand’s phenomenal book titled Unbroken. 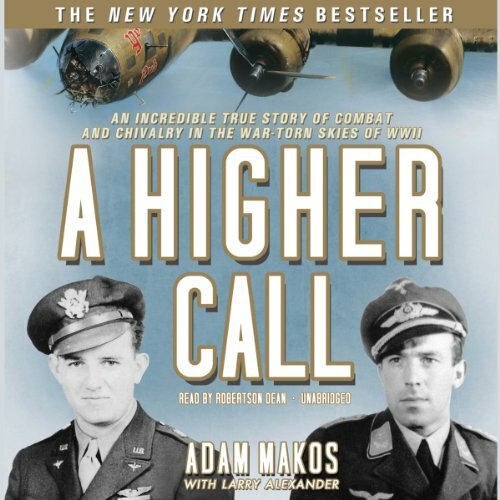 A Higher Call is a true story about two WWII heroes - Second Lieutenant Charlie Brown, who is an Army Air Corps B-17 pilot, and Second Lieutenant Franz Stigler who is a Luftwaffe fighter pilot and one of Germany's most famous Aces. The story is incredibly well researched and extremely well written, the narration is near perfection. Listening to this book will be worth every minute of your time, the story and the experience will enrich your life. If I could rate this book a 10, I would do it in a heartbeat. I cannot find the words to describe how much I loved this story. Just finished it yesterday and still in awe of the men and their actions. 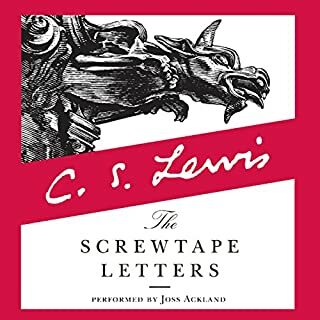 I happened upon this story after reading a CNN article describing the basis of the book, then decided to check it out in Audible. Although not my typical read, I gave it a try and am so very thankful I did! Going into the story, you know the high points and premise, but you do not know the back story and all that transpired prior to that fateful day. You get to live in each man's life as they first began their careers in the military, seeing and feeling what they experienced. As the days and months go by you learn about the core of each man and a basis for honor and duty that transcends simple words on a page. All leads up to the moment when they first met, completely unaware of the destiny awaiting them. I cannot recommend this book more! The story is well researched and put together, with consideration and respect for all that lived it. The narrator was exceptional and brought the book to life. As I said in the beginning - I'm in awe of these gentlemen. After the book, please also look up the additional content on the author's site but I recommend you do this after finishing the book. Get to know Franz and Charlie as they were as young men, then watch videos of them after meeting for the first as old men (technically their second meeting). You will cry and the tears are out of respect, joy, and honor. This is the story of Franz Stigler, a German fighter pilot and Charlie Brown a B17 Eighth Air Force pilot. It is the fascinating story of how their lives intersected in December 1943 permanently altering their lives. I found this an emotional book with a similar effect on me as Laura Hildebrand's "Unbroken". It left me feeling good about people. Most of the book is about Franz Stilger's life as a child, young man and pilot commercial then military. He was a German ace and later flew the jet planes over Germany. It also covered the men of the B17 and then their hunt for each other after the war. I noted that long after the war the crew of the B17 "Ye Old Pub" received their metals- Brown, the Air Force flying Cross and the silver star for each of the crew making them the highest decorated B17 crew. Adam Makos is the editor of the military magazine Valor and came across this story during interviews with WWII pilots. He brought to life the story of a man, the air battles, the thrill of flying and the fear of living in Nazi Germany. I am sure glad he wrote the story as a book. Robertson Dean did a great job reading this book. This book is not only for us WWI and WWII history buff but for any teen or adult that is looking for a good story with moral value. This novel is centered around a remarkable incident that lasted all of 20 minutes, but the story of what lead up to this tremendous act of chivalry and its aftermath are equally remarkable. The book mainly follows the life of ace Luftwaffe pilot Franz Stegler who would be worthy of a novel had the incident never occurred. The story goes into many technical aspects of both the allied and German planes to help explain the challenges of these opposing forces, and if you're not technically minded, this could be a minus. I'm not terribly technical myself, but found it all very engaging. The book is well balanced with many lighter moments as well, as when Franz adopts a bear whom he takes along as a drinking companion to the local pub. I've read many WWII novels, and this is one of the cream of the crop. Excellent book. Thank you Adam Makos. This book captures many aspects of a different time, which is slowly fading from our consciousness. It was thrilling to experience such a vivid picture of the air war. I was particularly impressed by all of the information on what it was like to be a German, and a German pilot, during the war. I hope someone does make a film. I would say that it is a story of two pilots whose path cross during the war, and again after the war. One of the best books that I have read. Fantastic story. Once I started listening to the audiobook it was hard to stop. My wife and teenage boys also loved the audiobook. I purchased this book quite a few months ago and just never got around to listening to it until this past week. Once I started listening to it I just couldn't put it down. 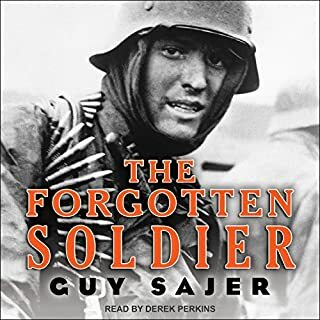 The story is incredibly compelling and the narration is spot on with easy transitions to a very understandable German accent and back to lend character to the people in this book. This book is not your typical WWII story. Too often those stories turn the Germans into two dimensional caricatures of real people and hide the internal conflicts that they too went through during the war. This story does not glorify warfare. It does not glorify killing or death. It does not glorify either the Allied cause or the German cause. It simply tells the story of real people on both sides of a war. You will feel heartache for the losses of both the American bomber crew and the German pilots. You will find yourself cheering for the bomber crew to make it home, and for the German pilots to find a way to survive to the end of the war. Sitting here today writing this I can't begin to tell you how happy I am that I picked up this audiobook and listened to it. This book is going to be a favorite of mine time and again in the future. 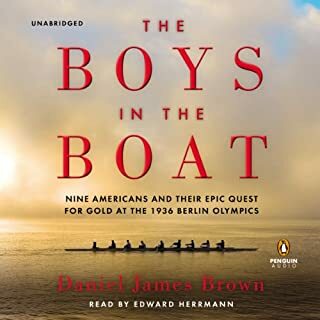 This was a fascinating recounting of the actions of a German ace pilot and his seemingly inexplicable actions in assisting a disabled American B-17 bomber piloted by a 21-year-old farmboy to return to England after a bombing run. 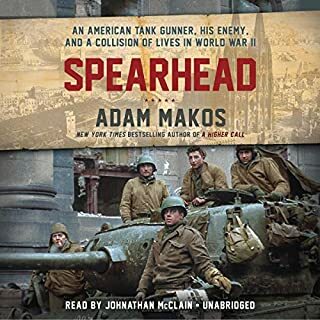 Meticulously researched, this true story weaves the lives of the "average men" doing their jobs in the time of war, men who are fighting for their families and their country and who recognized that the man in the other plane is a human being and one could respect the courage of the other. Don't miss this if you are a fan of World War II History.